Add little oil in a pan. When hot, add egg and stir rapidly to break it up. Add another spoon of oil, followed by garlic, and rice and mix thoroughly. Add the vegetables and spring onions and add the remaining oil and mix well. Now add the soy sauce, salt and white pepper. Toss it together and remove from heat. Garnish it with spring onions. Serve it in a bowl. 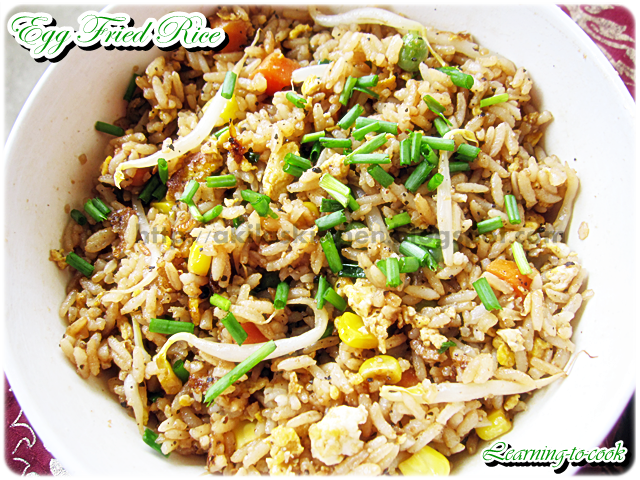 Egg fried rice looks relishing. I love Indo-Chinese food and fried rice looks tempting. my d's fav- this looks well done ! Rice dish looks amazingly colorful and vibrant. Amazingly delightful preparation. 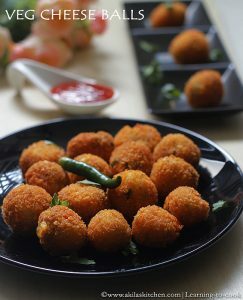 Bursting with flavours and yet wholesome!! 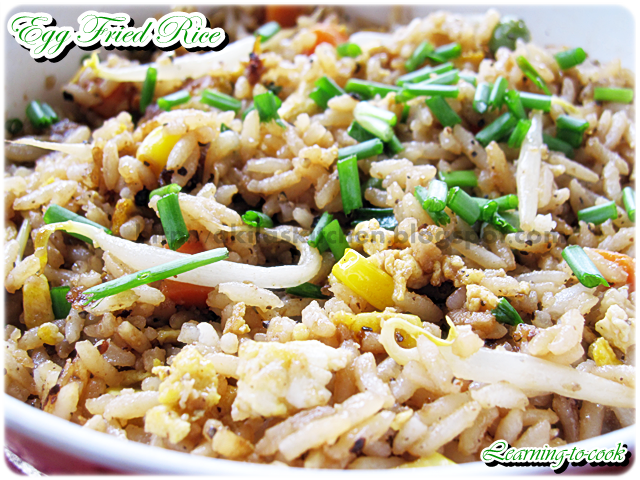 Love this version of egg fried rice!!! 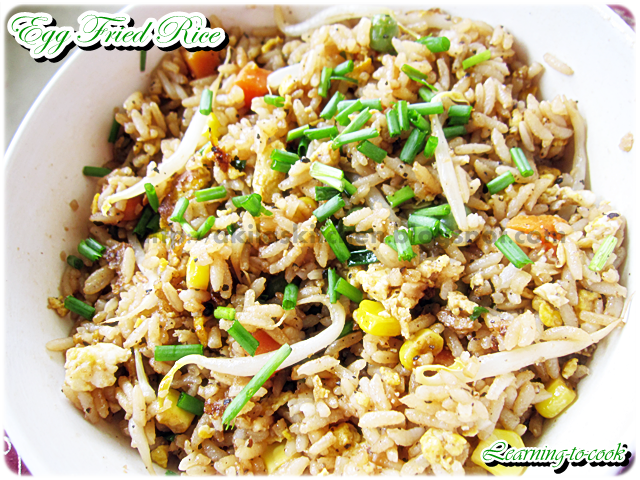 Healthy and tasty fried rice..Looks great! 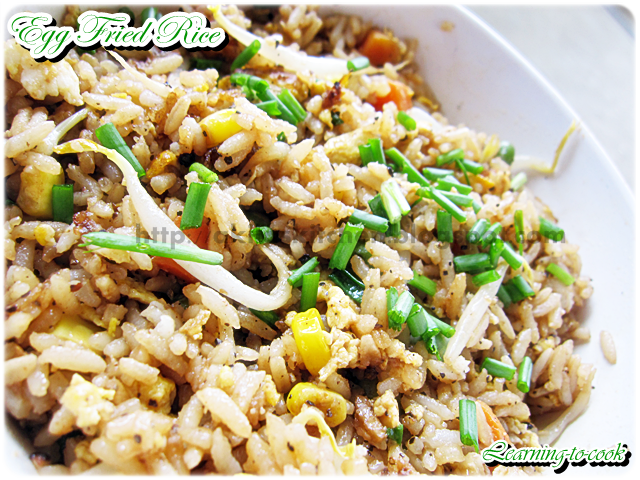 yummy n perfect fried rice! !